The Freistriztalbahn’s new joint marketing project will connect, serve and promote the region’s various tourist activities. The Centenary of the Feistritz railway will help showcase the region’s many attractions in an innovative way. 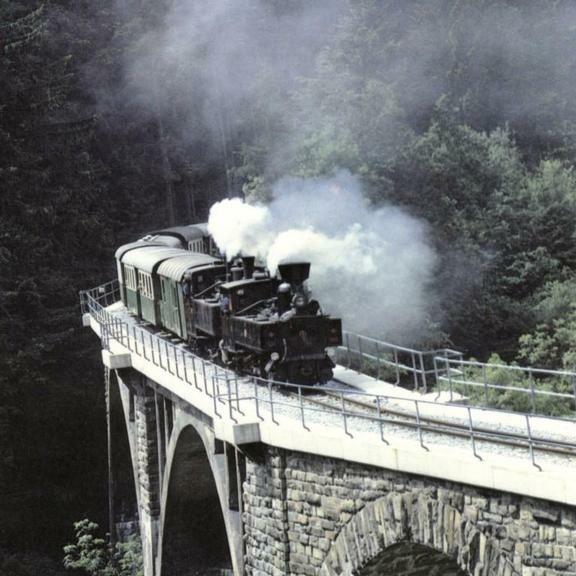 Since 1971 its steam trains have mainly carried tourists - 20-30,000 passengers a year - despite limited operating hours. This vintage railway features viaducts, original stations and water towers, and the 100th anniversary celebrations will both attract more visitors to the region and benefit the railway. The notion of ‘slowing down the pace’ is a popular theme in the East Styrian tourism industry, meaning gentle, sustainable, leisurely, tourist activities such as rail travel, hot air ballooning, bicycle and horseback riding, or walking. The Freistriztalbahn’s new joint marketing project will connect, serve and promote the region’s various tourist activities. Between May and December many trains will run, and events organised, culminating in the Centenary railway journey on December 14. The coordination of the different activities of the touristic bodies and regions is a complex task, requiring additional temporary support. Attractions include a variety of regional agricultural and gastro-culinary products and activities. Local businesses, associations and municipalities will be invited to sponsor the railway’s restored rolling stock, using crests and logos to feature municipalities and companies (in a reversible way). A bicycle wagon will provide a cyclist-friendly schedule that supports the use of local cycle-paths Stations will be renovated, incorporating rooms that can be used to promote local and regional produce and events. Using the attractions of a popular tourist railway to promote ‘local culinary delights’ underlines the interconnections between agriculture, tourism and industrial heritage. Bringing four different regions together is seen as an innovative way to attract new visitors.